At Energy Research Institute BV you’re in the right place if you are looking for an electric outboard engine. We have a wide range of high-quality electric outboard engines. In this way, you can enjoy the nature around you in an environmentally friendly way. But, an electric outboard motor has even more advantages. The electric boat engines from Energy Research Institute BV are lightweight and deliver excellent performance. Besides that, they are equipped with the latest technology, ensuring you the highest quality. In combination with our solar panels, you don’t have to worry any longer about toxic exhaust fumes and environmental pollution. In addition, an electric outboard significantly saves costs. The use of diesel or petrol is no longer necessary. The boat is fully electric powered and is therefore very silent. This gives you the opportunity to fully enjoy the water and nature around you. In the webshop of Energy Research Institute BV, you will find traditional outboard engines and electric outboard engines. This way you will always find the engine that meets your needs. Of course, you can count on an excellent price-quality ratio and a perfect service. 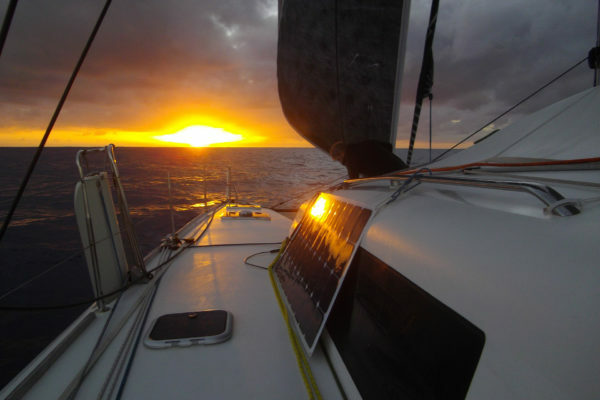 Sailing with an electric motor offers many advantages. The noiseless working of the engines allows you to fully enjoy your environment or a good conversation with friends. Because an electric outboard motor is powered by solar energy, you don’t have trouble with smelly exhaust fumes during sailing. This is not only better for your health, but also for the environment. In addition, electric sailing is cost-effective. The purchase of diesel or petrol is therefore no longer necessary. The electric outboard engines of Energy Research Institute BV are equipped with a powerful battery that can be recharged easily and very quickly. The technology we use for our electric engines is also progressive. In that way, you can always count on a great return and a pleasant maritime experience. Because we consider a high-quality standard to be important, you always receive a 2-year warranty on our products. Of course, we also have a wide range of outboard engines on petrol or diesel. For the complete range of products, you can take a look in the webshop of Energy Research Institute BV. Even if you have any questions about our electric outboard engines, we are happy to assist you. You can always contact us if you need some more information about our electric outboard engines.